Alexander Grant was born in rural Canada on April 16, 1874, and according to his daughter, remained a Canadian citizen throughout his life. After graduating from the St. Mary’s Collegiate Institute at Toronto University, he matriculated at the University of Pennsylvania. At Penn he was awarded a University Scholarship. During each of his four years at Penn, Grant ran for the Penn track tream, with many first and second place finishes to his credit in relays and races of varying lengths. 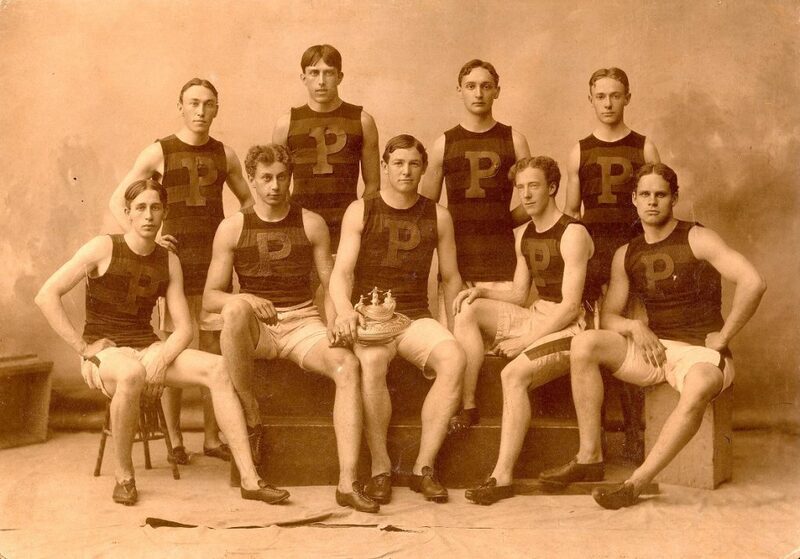 While at Penn, Grant was the U.S. champion in the 800 meter run in 1900. As a member of the U.S. track team at the 1900 Paris Olympics, Grant ran in the 800 meter event, but did not win a medal. He was also scheduled to run in the 4000 meter steeplechase, but as a devout Presbyterian, refused to participate when the race was rescheduled to a Sunday. After graduating from Penn in 1900, Grant continued to dominate American distance running, as the national champion in the 1500 meter race from 1901 to 1903, the 5000 meter event in 1903 and 1904, the 10,000 meter event in 1902 as well as the 3000 meter steeplechase in 1900. His record time in the 1500 meter event went unbroken in the U.S. for twenty years and in the world for ten years. Having studied European history at Penn, Alexander Grant became a teacher, teaching at the Berkley School in New York, Detroit University, the Hill School in Pottstown, Pennsylvania, and then from 1914 on, at Episcopal Academy. In 1903 Grant joined with Dr. Josiah McCracken and Dr. George Orton to found Camp Tecumseh on Lake Winnipesaukee, New Hampshire. He remained president of the camp until his death. Alexander Grant died October 13, 1946, in Narberth, Pennsylvania.